Sarah: [voiceover] People once believed that when someone dies, a crow carries their soul to the land of the dead. But sometimes, something so bad happens that a terrible sadness is carried with it and the soul can't rest. Then sometimes, just sometimes, the crow can bring that soul back to put the wrong things right. An extended bombing scene where the gang ties the bomb and harasses the cashier, tying her up. All the while Eric is rising from the grave all stunned and confused. He comes across the Arcade just as it blows up and, as the cashier gives her last to crawl out, he catches her and accidentally sees her memories of the attack. He then goes on just like in the released version. An extended scene with Eric in Funboy's dept. right after he did his mojo on Darla, who goes away hurried and freaked, Eric is stabbed by Funboy and realizes he bleeds, just as he gets hit some more before countering. He says some lines and then kills Funboy. This explains the tape on his torso and hands. Extended Top Dollar's office shootout scene. Eric arrives to the place and both say a few more lines, then, after that, the shootout begins. The scene is basically the same, only having a few (noticeable by the immediate quality change) longer shots, and being much, much, gorier. 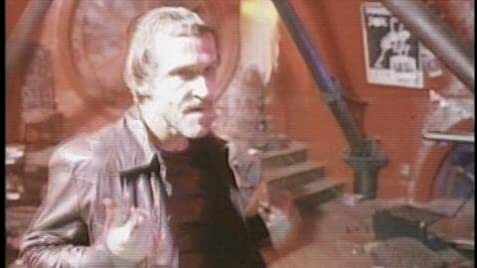 Unused footage montage, showing halloween boys running in slow-mo for a minute, very brief unused or alternate shots of some characters, a shot of eric lying over T-Bird's car's roof, and (without the corresponging dialogue) the scene of the Skull Cowboy standing in front of Eric as he rises, and reaching his arm out for the crow to fly to eric. Storyboards. They are from some scenes, but contain (with no division so watch out) all of the Skull Cowboy's scenes. The SC standing at his grave. The SC standing in fron of the loft's window with Eric running berserker at him and, as he misses, jumps out the window and grabs the ledge to come back in as in the movie, to find he is gone. The SC coming to Eric, after saving Darla, as he plays the guitar on the roof telling him that he cannot assist the living or he'll bleed. And the SC standing in the church steps telling Eric to go back to the grave since he already killed his enemies and it is forbidden to assist the living (Sarah), as he denies, he says "choose and be damned", and desintegrates in a whirlwind of dust, but stripping Eric of his powers and warning him his chance to meet Shelly may be at jeopardy, thus explaining his vulnerability. Q: What scenes feature a body double or require CGI post-production? Q: Where can I find the deleted scenes with Michael Berryman as "Skull Cowboy"? I approached this film after reading the hype and controversy surrounding its making and release, not really expecting very much. Surprised to find it an intelligent, beautifully-filmed, engrossing and touching thriller. I'd recommend it to anyone who has a fondness for weird gothic mythological stories. I didn't find the horror aspect overdone - in fact it was believable, and the script was superior to other films of this genre I've seen. 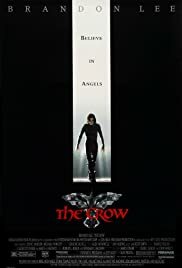 As for Brandon Lee, this really was a superb performance and it is a terrible tragedy that his life ended so abruptly. This film is a fitting memorial to what could have become a major star. 91 of 107 people found this review helpful. Was this review helpful to you?